We are looking for actors, 60 years +, who are energetic and welling to act like teenagers again! Synopsis: a motley bunch of old folks wreak havoc on an unsuspecting milkbar employee - throwing cereal, spitting milk, throwing eggs and maybe even a cheeky pash! One day music video shoot, in mid-October, for well-known Australian musician Bob Evans. They have just completed the new video I Can Make You Love Me for British India, have videos in the works for bands like Aloe Blacc and are still riding on the international success of their light-anitmation short film Rippled, which has proudly been screened at this year's Sydney Film Festival and Annecy International Animation Festival (to name just a few). 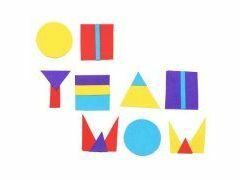 There has never be a better time to jump on the Oh Yeah Wow bandwagon!